As part of the Evergreen Rehab Services, we offer a range of return-to-work support services to help individuals with cognitive, physical and/or psychological difficulties return to work. We provide job site evaluations, ergonomic assessments, community-based work hardening programs, graduated return-to-work plans, workplace accommodations and job coaching. We collaborate with you and your employer to develop a customized return-to-work plan. The graduated return-to-work plan addresses your unique needs as well as those of your employer. We consult with you and your employer to set timelines and clear expectations based on assessments of your job demands and specific workplace requirements. To maintain transparency and a healthy relationship between you and your employer, we address returning to work early in the rehabilitation process. Staying healthy and strong at work is essential for the well-being of both employer and employee. Focusing on the bigger picture, we help you create a healthy work life balance that supports wellness and longevity in the workforce. Our well established processes and methodologies, based on industry best practices, help you succeed in returning to work for the long term. Evergreen's team assesses the workplace to identify the physical, cognitive and/or interpersonal demands on the job. We evaluate the environment to confirm critical versus optional job demands and determine available workplace accommodations. This evaluation provides the worker, employer and referral source with a detailed outline of the required job demands. When used in conjunction with a functional assessment, a job site evaluation can provide useful information including the worker's readiness to return to work, extent of pre-vocational rehabilitation recommended and an estimated return-to-work timeline. A job site evaluation also promotes a safe return and longevity in the workplace. 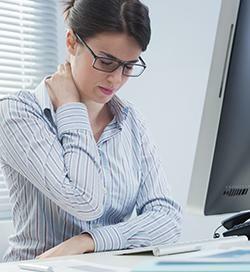 Ergonomic assessments identify risk factors for injury due to repetitive movements, strong forces, awkward postures, static sitting and other potential risk factors impacting the worker. The assessment evaluates the best ways to fit a given job to the worker. It can be conducted with workers who have had a specific injury or ailment to promote optimal workplace health, job satisfaction and performance or as a preventative measure to reduce the risk factors that may lead to decreased performance and work loss. A work hardening program gradually increases the worker's physical, cognitive and/or psychological tolerance for work simulated activities prior to engaging in a return-to-work program. The program promotes a successful Graduated Return-to-Work plan and longevity in the workplace. 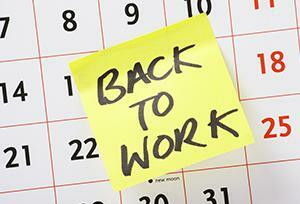 This preparation may also decrease the worker's anxiety about returning to work. A worker with physical limitations may partake in an active rehab program tailored to her injury or illness and specific job demands. A worker with cognitive limitations may partake in a cognitive training program, such as Cogmed Working Memory Training Program, prior to returning to work to increase his cognitive abilities and tolerance. GRTWs gradually increase the hours and job duties over several weeks or months. The plan assists the worker in returning to durable long term employment in a supervised, safe and supportive environment. A thorough assessment, open communication and close monitoring ensures the best GRTW outcome. Medical clearance from a physician prior to commencing a GRTW ensures the safety of the worker. OT’s tailor the plan to the worker's specific job demands and limitations. 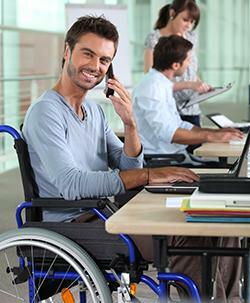 OT’s monitor GRTW plans on a regular basis to promptly address the concerns of employers and workers. 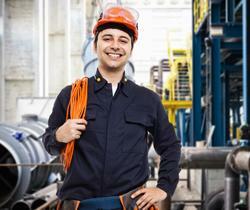 We evaluate and address ALL aspects of the worker’s ability to return to work. Looking at issues such as how the worker gets to and from the job and the impact on his daily functions during the return-to-work process helps establish a healthy work-life balance which, in turn, promotes a sustainable work future. To begin, your occupational therapist completes a job site visit to identify the physical, cognitive and/or psychological barriers to a worker returning to or reaching peak performance at work. Areas assessed also include the physical, institutional and social environment. While conducting the assessment, we collaborate with all stakeholders -- human resource departments, managers, unions and workers -- to negotiate workplace accommodations. Following this, Evergreen provides specific and clear recommendations in a written report to promote a seamless implementation of workplace accommodations. You can access our return-to-work rehabilitation services services in most areas of Vancouver, West Vancouver, North Vancouver, Burnaby, Richmond, New Westminster and Coquitlam. Please call Evergreen Nursing & Rehab today at 604.264.7959. 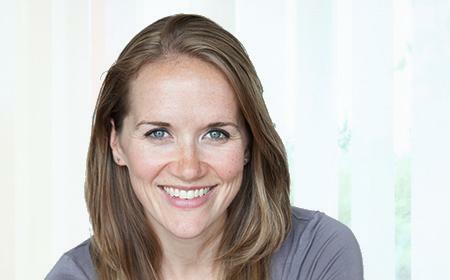 Our rehabilitation consultant is ready to answer your questions. For submitting a referral, please fill out our referral form.